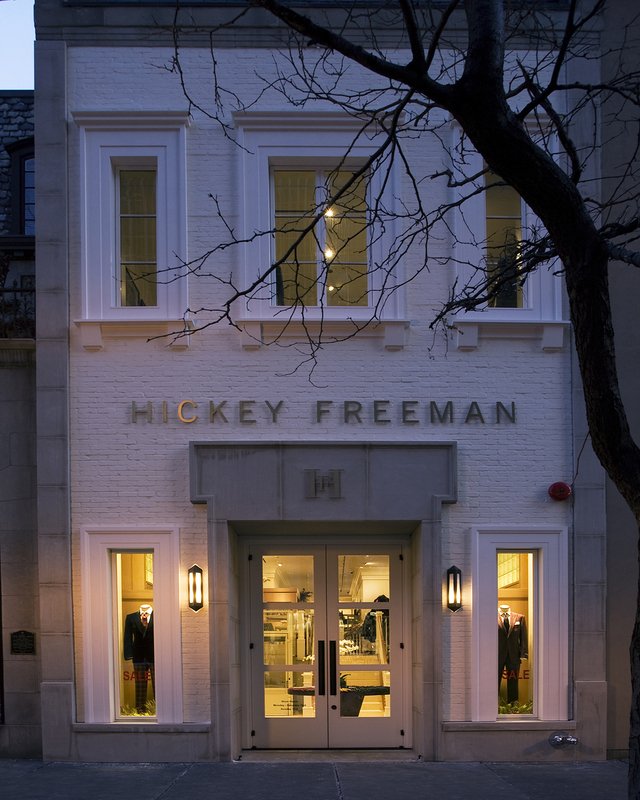 As America’s iconic clothing maker for business wear, formal wear and sportswear, the Hickey Freeman stores occupy premier locations, such as Market Street in San Francisco and Chicago’s venerable Oak Street. Convenient to where he works, dines or lives, the edited assortment focuses on selection rather than shopping. Drawing physical inspiration from classic American residential interiors, signature elements bring together heroically scaled columns, translucent glass block and limed oak casework, accented with a collection of fine antiques and comfortable lounge furniture. Where possible, the design takes advantage of lighting to bring the neutral palette to life, highlighting the subtle textures, patterns and warmth of the merchandise fabrics.